The User Experience is a foundation of great Customer Experiences, in both selling and service. There is a tendency, in eCommerce and Contact Centre optimisation, to implement the new, innovative technologies with a view to exceeding customer expectations. And to do so even when basic customer needs and expectations are not yet consistently being met. However, it is important to ensure that any solution put in place to enhance the customer experience, does so, intelligently. By first remedying the shortcomings of your channel management strategy and the customer experience, then optimising and elevating from there onward. The modern customer journey may connect through many different channels on the path-to-purchase; in some instances, customers may pass through multiple channels to reach their appropriate service-channel. With the offering of sales and service channels continuing to broaden (the introduction of chatbots) and the potential for differentiation between departments, it is important to protect the customer experience against unmanaged and misaligned contact channel experiences. This is a fundamental requirement in the pursuit of sustainable improvement in customer experience; achieving low customer effort in a cost-effective way. Ease-of-use and consistency, between channels, is clearly key to great customer experiences. After all, it is those brands which provide an effortless CX, first and foremost, who truly satisfy their customers. It is what the modern customer has come to expect in every customer experience. Let’s work to meet expectations with consistency, in order to form a foundation on which to then exceed customer expectations. Uniting your online and offline channels is a necessity in the competitive industries, not just for the sake of positive customer experiences, but in order to effectively increase sales and optimise resource management. Deliver results in increased sales and a reduction in spend. Let’s not lose sight of why we’re working on the customer experience in the first place. Send the right customers, to the right channel at the right moment. Unite channels with information-sharing. Facilitate cross-channel optimisation to form a seamless omnichannel experience. Break down those silos to foster seamless customer contact and proactivity in the contact centre. Profoundly enhance the customer experience. We say profoundly because the customer experience contains an often overlooked layer within it; that’s the User Experience (UX). By enhancing the customer experience at both the CX and UX levels, businesses can ensure that they are effectively optimising the entire customer journey. 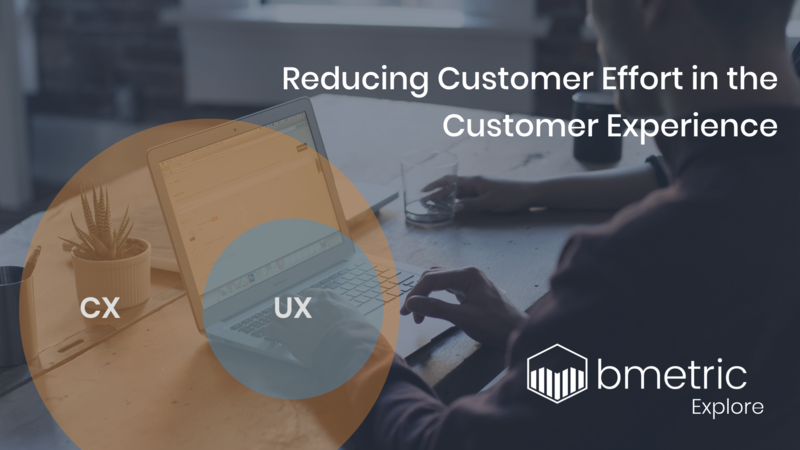 Locate tangible sources of friction and churn in the UX, whilst identifying the softer inconsistencies, inefficiencies and opportunities to excel, within the Customer Experience (CX). Defined as the experience had with every touchpoint of your brand, and the derivative effect it has upon the perception of your brand. The perception of your CX extends from each individual customer experience to contribute to the wider public reputation of your company. The practicalities of every use of your brand’s sale/service-channel offering (the easy-of-use, information architecture). More specifically, how well it satisfies the needs of each customer. In turn, contributing to the customer’s overall evaluation of the customer experience (CX). 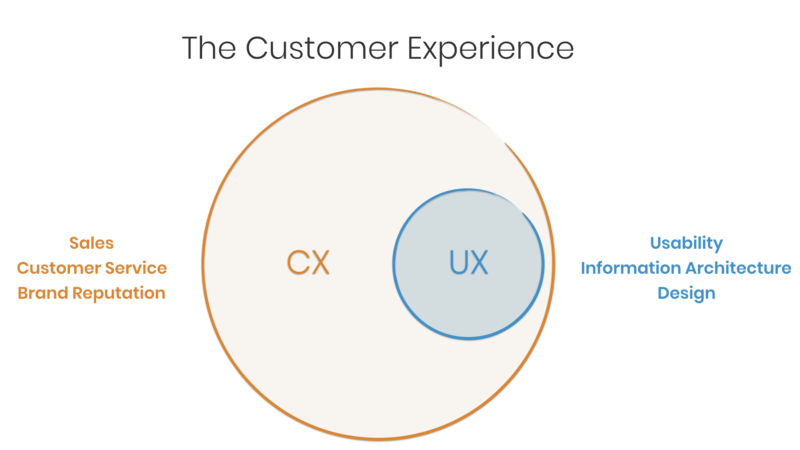 The fact that CX and UX are actually two different elements, with UX having a direct impact on the overall CX, means it is important that an intelligent solution to channel management is engineered to enhance both the CX and UX layers of your path-to-purchase or service. bmetric’s Onsite Channel Management provides a solution to the negative impacts of cross-channel misalignment, differentiation and inefficiencies within online/offline CX and UX. To make customer experiences meet both the expectations of your customers and your organisational needs. With both features contributing to the UX and CX. In order to engage online customer journeys, in a way that benefits both the customer and the business, Onsite Channel Management assess every customer journey on your site. This comprehensive assessment accounts for the customer’s profile, their current customer journey and their previous journeys with your brand. Take a look at bmetric Visualised: The Commercial Boundary to see more of how our technology intelligently engages customer journeys. After assessing these determining factors, Onsite Channel Management can automatically execute an onsite engagement for the customer, tailored to that particular customer experience and the needs of your organisation, in real time. Intelligent Engagements have a direct impact on both UX and CX. 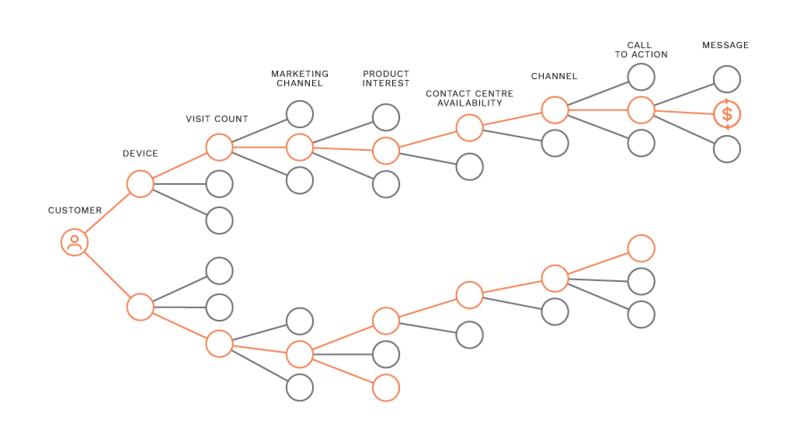 For example, if a customer comes up against friction in their path-to-purchase, leading to customer churn and exit-intent, Intelligent Engagement will acknowledge the potential of losing this sale and engage the customer with a specifically tailored call-to-action to match their current predicament. The engagement will also offer the exact solution which the customer requires to be nudged back into their journey, into the Commercial Spectrum. This intelligent engagement may provide, for example, the exact telephone number they require to be assisted in their struggle. The execution of such an engagement can even take into consideration inbound call loads and each contact centre’s respective areas of expertise. This provides a big boost for the UX; considering that without this engagement, the customer would be faced with pausing their session (risking their page timing-out) to find a service number, with no clue of how long they will be on-hold for, or how many times they will be transferred throughout the call centre. In many cases, this is more likely to result in the customer abandoning their session, rather than seeking assistance. Onsite Channel Management works to save these lost leads. The result of the Omnichannel Engagement now continues to enhance the broader customer experience. In this example, the customer came up against some issues in the final stages of the path-to-purchase. They were efficiently transferred to the contact centre and service agent who was best equipped to assist them in the specifics of their journey. 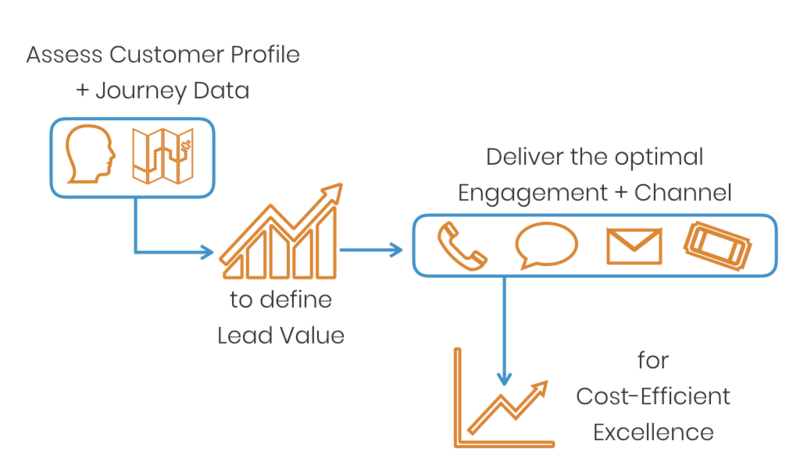 Here is where the data-points, collected from the customer profile and journey, come into further use. This time to enhance the customer experience through intelligent service. The unspoken insights are transferred to the customer’s next point of contact. Here, they provide the context behind the customer’s reason for making contact. Essentially, it sends this information ahead of the customer, before the customer needs to explain their whole situation in the next contact channel, whether it be a call (inbound or outbound) or chat. 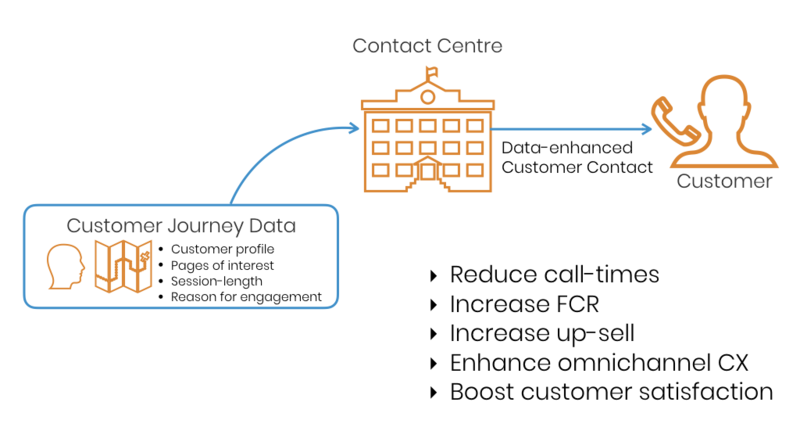 This unifies the whole customer journey for the contact centre operative, by communicating that important contextual information ahead of the customer’s call. Now contact centre agents can provide the type of assistance the customer really needs, more proactively than ever before. For a business looking to truly satisfy its customers, this level of intuitive customer service is essential to building B2C trust and making customers feel valued. As well as live agents, these unspoken insights can also be utilised to improve chatbot functionality. The data collected and used by our decision-making engine is combined with the results of engagement and customer contact. It is then collated and stored, ready to be accessed by your CRM software and again in Onsite Channel Management. Our technology reflects upon and optimises future its performance. As well as enhancing customer journeys proactively (at the single customer view) the data gathered from the customer journey – now including the outcome of the engagement and the interaction with the contact centre – is fed-back into your Data Management Platform/Customer Data Platform to serve a purpose to you, outside of Onsite Channel Management. If efficient information architecture, intuitive self-serve portals and interaction design are of value to your website/eCommerce, this data provides the insights to optimise in these areas. Take a data-driven approach to curate a refreshingly satisfying UX, to further reduce churn in your website and provide leverage over the numbers of routine inbound service calls. Continuous optimisation, for cost-efficient excellence and an enhanced customer experience. After making a positive first-impression upon your customers, it is important to maintain and improve your responsiveness to their needs and expectations of your brand. As we all know, the customer experience doesn’t end after each sale or service session closes. This is why Onsite Channel Management integrates with your DMP/CDP to build upon and utilise the history which your customers have with your brand. The data is a powerful contribution to your current customer analytics. It enables further optimised customer service, cross-selling and upselling. Altogether strengthening that trusting B2C relationship, with moments of cost-effective excellence; tailored customer experiences and personalised customer contact. Let’s increase sales, boost loyalty, reduce customer effort and resource expenditure in customer contact and customer experiences; for the website and contact centre. bmetric have the industry knowledge and experience to implement Onsite Channel Management to suit your own organisational objectives and KPIs. Onsite Channel Management connects your contact channels with the customers whom your brand wants to connect with the most. To learn more about what bmetric has achieved for other respected brands in your industry, see our case studies or connect directly with one of our New Business Engagement team to hear what we can do for you.